Lawrence B. Hicks was known—first, foremost and always— as a preacher of Second-Blessing Holiness. With his plentiful use of colorful adjectives and classical references, the rhetorical skills of this pulpiteer lent a force and sweep to his preaching that could only be achieved by study that was both wide and deep. But there was more— much more— behind the successful sermons. 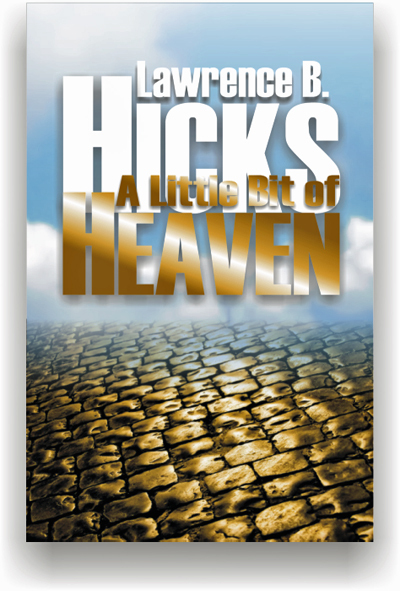 Hicks enjoyed a relationship so close to his God that the unction and might of the Holy Spirit permeated his messages, and the chapters of A Little Bit of Heaven conveys a good sense of his pulpit skills. It consists of four sermons which have never before appeared in print together, and they emphasize his hallmark of entire sanctification. In the first chapter, “The New Covenant,” he builds on the historical covenants between God and Israel in the Old Testament, then applies Paul’s assertion that Christians now share in the covenant promises as spiritual Israel. The first three chapters all emphasize holiness as the embodiment of God’s promises, made possible by the sacrifice of Jesus and given by the Father through the Holy Spirit. The last chapter is his most famous sermon, but differs significantly from the version he published previously. That edition of “There Must be a Heaven Somewhere” does not do justice to the spiritual and emotional power in the sermon as Hicks preached it. The resulting new transcription better preserves the moving appeal of the speaker. One cannot help but rejoice in the hope and encouragement which was the avowed aim of one of the most powerful preachers in the holiness movement.